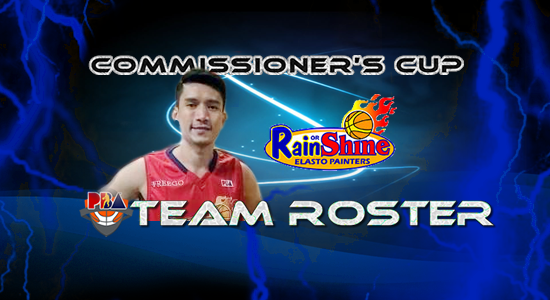 The information below contains the official lineup or roster of the Rain or Shine Elasto Painters (ROS) for the 2017 PBA (Philippine Basketball Association) Commissioner's Cup. Also included on the list is the player number, position, height, team owner(s), team manager, head coach, assistant coaches, and their one (1) import. Please refer to the list below for more details. Company: Asian Coatings Philippines, Inc.